What seemed to have no end revealed in the end to be destined to end. A wordplay, but true. Indeed this illusionary world, with it’s tendency to mock not existing perfection and pretending to be able to solve all problems, has a very short expiry date. 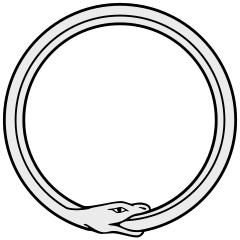 You may have noticed the symbolism of the “Ouroboros” in many places, movies, pictures, comics and so on. Some people have them as a tattoo on their arms, wearing them with excessive proud. It’s modern symbolism means the independence of an outer source, like God as the source of life, or the sun as the source of light, and the possibility to create a self sustaining ecosystem like this toys called “ecosphere“. 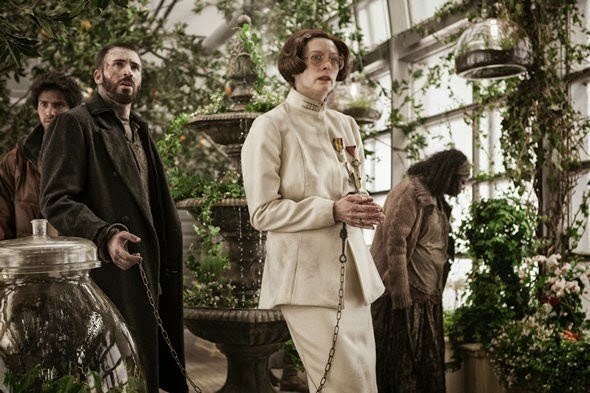 This occult symbolism, covert by cowardliness, is embedded in movies like Snowpiercer (and therefore I hate this movie), representing the attempt to carry forward a situation or system which could never persist eternally. Indeed this system is ephemeral compared to the eternity. What is praised as a state of evolution, something which begins from a lower state and evolves to a higher state from it’s own will, is nothing else than a lie. The fermentation process is in reality entropy, the remaining order dissolves and becomes more and more chaotically. There is no way for a closed system to gain more order, but it will reach a state of balance, stagnation and stasis, where the entropy is so high, that no order is anymore recognizable. Observe how this system works: it requires sacrifice of human life. Economy would never work without the consensus reality of a world based on mythology and lies. This air is saturated with illusions. Every year new illusions are created in the hope that the consensus remains. But all these illusions are based on one master illusion, that of independency. Indeed this world began with the desire for independency from the father. And now? What have we learned from this lesson?